Why Cybersecurity Management Is Important. Control-Based Information Governance, What It Is and How It Works. A Survey of Control Frameworks, General Structure, and Application. What Are Controls and Why Are They Important? Implementing a Multitiered Governance and Control Framework in a Business. Risk Management and Prioritization Using a Control Perspective. Control Formulation and Implementation Process. Security Control Validation and Verification. Control Framework Sustainment and Security of Operations. Daniel P. Shoemaker, PhD, is principal investigator and senior research scientist at the University of Detroit Mercy's Center for Cyber Security and Intelligence Studies. Dan has served 30 years as a professor at UDM with 25 of those years as department chair. He served as a co-chair for both the Workforce Training and Education and the Software and Supply Chain Assurance Initiatives for the Department of Homeland Security, and was a subject matter expert for the NICE Cybersecurity Workforce Framework 2.0. 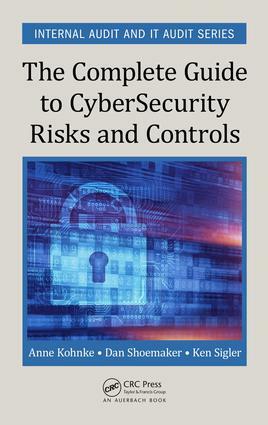 Dan has coauthored six books in the field of cybersecurity and has authored more than one hundred journal publications. Dan earned his PhD from the University of Michigan.